A free, fun activity held once a month at RAG, Cleveland. 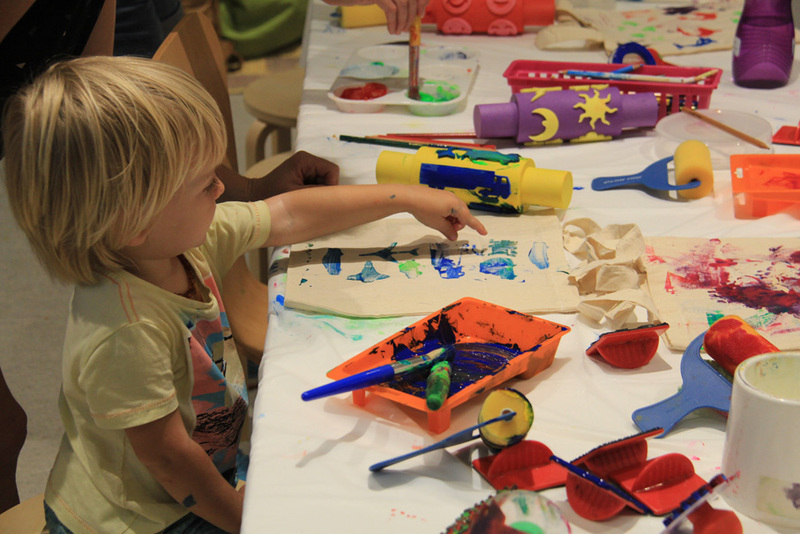 Parents and Prams offers carers and their young children an opportunity to explore our latest exhibitions and socialise over coffee, cake and craft. Prams/baby carriers welcome and baby change facilities available. Session is held 10 – 11am on a Wednesday each month. For more information click on the available dates above or phone: (07) 3829 8484. Image: Family Sundays at the Gallery workshop at Redland Art Gallery, Cleveland. Courtesy of the participants and Redland Art Gallery.